Words and how we use them have a special emphasis in our family. Our son, a chatterbox, expresses himself to anyone who will listen. He formulates every thought that comes into his head aloud. An engaging storyteller, words effortlessly fall out of his mouth, creative and abundant. Yet for our daughter, who is nonverbal due to a genetic disorder, it takes great effort and concentration to communicate even the simplest of thoughts. We usually try to decipher her needs and desires from a mixture of gestures, signs, and utterances. Our children, ages four and seven, are completely different individuals beginning to engage uniquely with the world around them. Words or no words, they each have a valuable voice. And when I say voice, I don’t just mean the sound that comes from their mouths, but each one’s deeper and unique viewpoint of the world. Out of necessity, I have developed the habit of speaking for my daughter. I have a mother’s uncanny ability to read her facial expressions, body language, and verbal attempts. However, I recognize that even my best assumptions may not always be completely accurate. When in public, her bright eyes and generous smiles provoke people to talk to her. While she responds with an engaging demeanor, I generate the verbal interaction. Perhaps individuals assume she is shy, or walk away thinking I’m that mom who won’t let my child speak for herself. I don’t want my lack of patience or concern for avoiding an awkward moment to rob her of the opportunity to speak, should she ever. I recognize the need to encourage her voice by allowing a margin of silence, giving her the chance to explore, and practice whatever words or sounds she does have or will develop. Words or no words, they each have a valuable voice. The discipline required as a parent—to slow down and show a genuine listener’s interest with our children—is a daily challenge. My attentiveness and intentionality is being enforced through our family’s newest addition: a high tech communication device. This state-of-the-art tablet has our family on a huge learning curve, but the discipline and hard work is exceeded by the potential of our daughter communicating more effectively. Until her fluency and confidence in the tablet grows, conversation for all of us will require some simplification. It will be a slow road of memorizing images, building vocabulary, and learning to select options for which the device will speak on her behalf. 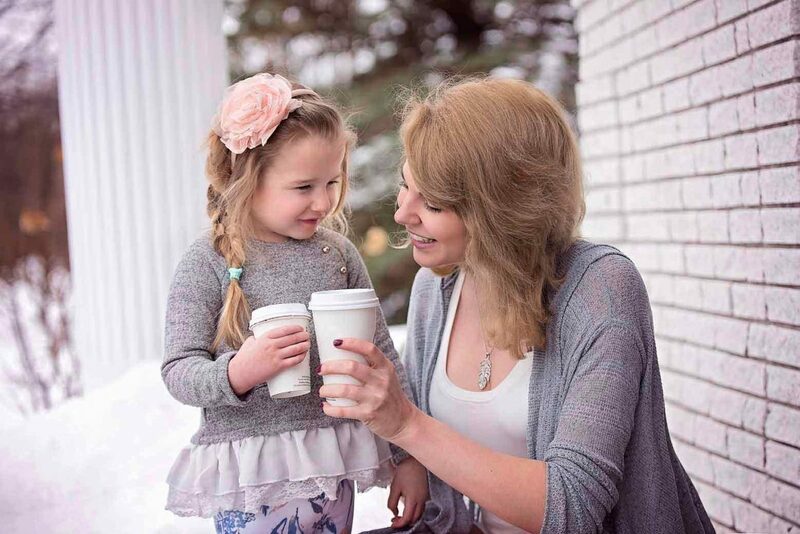 Having to thoughtfully choose the sound of my child’s voice from a list of settings, and customize potential conversations to her interests, has reminded me of the critical role parents have in nurturing a child’s voice. This communication device is a critical tool in teaching a tangible way of communicating words. However, it won’t ultimately be what develops her voice. As a parent, it’s my job to not only teach my children how to communicate as well as they are able, but to invest in their ability to contribute to greater conversations while being keenly aware of the influence their words and voices can have. Through simple yet intentional efforts, we try to not only foster an understanding of words, but also an awareness of how, if, and when to use them. We do this by reading books about individuals who have used their unique voices for good or by practicing the art of conversation at dinner. Our whole family actively shares in dialogue about the smallest to biggest daily happenings. Engaging each other on a regular basis in this way nourishes their confidence as they recognize the value of their unique voice. We desire to create an inviting space for our children to use their own words, whether by mouth or device, so they will gain the courage to speak thoughtfully and confidently in the greater world. I’m coming to realize it isn’t only what we say, but how we listen that develops their voice. 2. Listen thoughtfully to what your children want to communicate to you. Try not to discount or ignore them even if what they are talking about seems random or irrelevant at the time. 3. Ask them questions that require more than a “yes” or “no” answer. 4. Read age appropriate books together about individuals who have used their unique voice for good, and talk about them. 5. Invest in their personal interests, unique gifts or talents. Read Discovering Your Child’s Talents for more on how. 6. Consider that their voice may be found in another means of expression aside from verbal proficiency, such as art, dance, writing, music, etc.